Bleak statistics show that a person commits suicide on Britain’s rail network every 31 hours and, as we learn in the play, for every fatality there are another three people who attempt to take their own lives. That number is a sad reflection on our time and forms the fabric of Kieran Knowles’ new play. 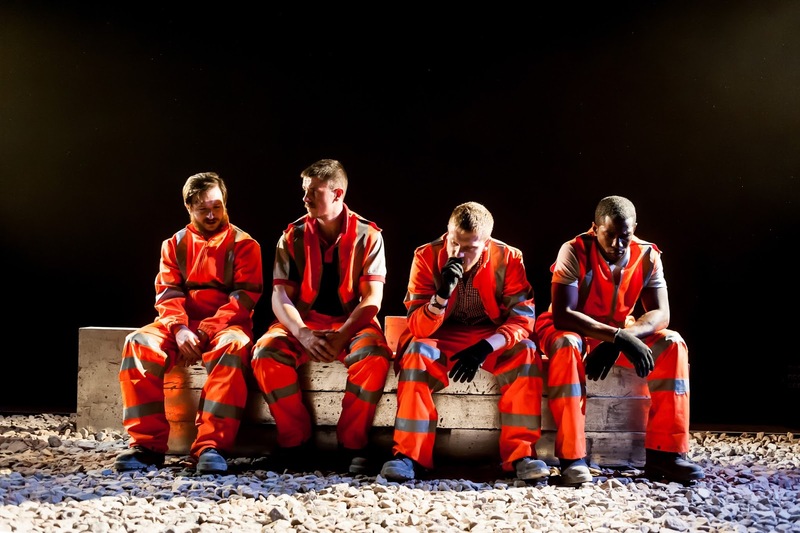 We meet the cast of 4 men, clad throughout in standard issue hi-viz railway working suits, who are a team from Network Rail’s Specialist Cleaning Branch. One might typically think of a job on the railways as being a train driver, or a guard or a signalman. These particular teams however attend the sites of fatal incidents on the railway, their responsibility being to remove the human remains from the tracks with a mixture of speed and dignity. The play covers grim but important material, with Knowles’ text shifting his cast from workplace banter through to stepping out of their jobs and taking on various external roles ranging from suicidal individuals, through to HR and customer service personnel who speak in their trained, depersonalized corporate voices and even to speaking the words of delayed passengers, expressing frustration at their journey having been held up due to an inconsiderate, "selfish" person who’s chosen to kill themselves in front of a train. Death and suicide in particular, is a multi-faceted event that Knowles cleverly explores. At times there is an air of Hamlet to the dialogue. The bleak inevitability of death catches up with us all and the gallows humour of the undertaker or gravedigger has long proved fertile ground for writers. But 31 Hours goes further, in contemplating graphically (but only through detailed verbal narrative) both the different paths to suicide and indeed the different ways that people die on the tracks. This all makes for harsh and humbling theatre as amongst the characters we encounter are an embezzling lawyer who’s been found out and kills himself, whilst next to die is quite simply a charming old couple whose savings have evaporated and whose pensions are tawdry and who see death as a “tidy” solution to their problems. The tragedy here is desperate. Abdul Salis, James Wallwork, Salvatore D’Aquilla and Jack Sutherland make up the on-stage quartet, with the action played out upon a flat space. Long wooden sleepers are moved throughout by the cast, suggesting at one moment a platform edge and at another, a bridge. And underfoot, spread across the stage, are the familiar stones of railway track ballast. These provide a convincing backdrop to the narrative along with a hauntingly crunching sound as the cast walk about on them. 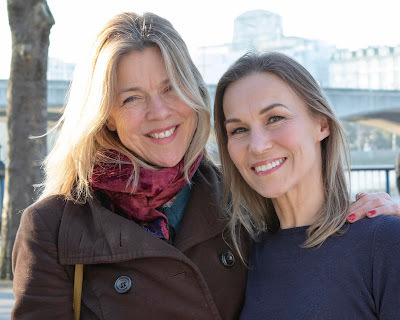 Sensitively directed by Abigail Graham, 31 Hours may not offer any solutions, but does portray a vivid and compassionate insight into some of the darkest corners of mental illness and depression, alongside the consequences of suicide. It is finely crafted theatre.